LAUX LAWYERS AG – who are we? We are a law firm based in Zurich and Basel, specialising in IT law. Information technologies are many and varied, and can often be difficult to grasp. If you fail to get to grips with them, many of the opportunities that digitisation generates may be lost. This also applies to the legal aspects of IT. Lawyers have to understand IT if they are to provide targeted legal counsel on IT law. This is our speciality, but our services go way beyond providing mere legal expertise in that field. We are happy to think out of the box, listen closely to our clients, and defend them in situations where conflicts arise, working with them to find effective long-term solutions. Our aims are to enable you to leverage the opportunities that digitisation can provide and to secure the future of your company. Bots are clever. And we are curious. As lawyers we drive forward digitisation. This is why we like the idea of having a digital employee in our team and we decided on a bot. Well, our bot still has some limitations – and, that makes us smile. Yet it is capable of answering simple questions. Which other human competencies will be replaced by digitisation some day in the future? Who knows – but it will be exciting to find out. First and foremost, however, we are here to provide you with a personal service. By telephone for example on +41 44 880 24 24, or by e-mail: info@lauxlawyers.ch. Which aspects of legal advice does the practice specialise in? IT law is our passion. We currently provide advice primarily in the finance, health and life sciences, insurance, media and, of course, information technology sectors. And since IT is now present in almost every aspect of daily life, we look forward to hearing from you. These are the sectors in which we currently provide specialist advice. Click on them to find out more. Digitisation is the big topic – and rightly so. It brings about fundamental changes in the economies of entire countries. Every sector is affected, and it is raising new legal and technical issues which companies have to deal with – even those which to date had nothing to do with technology. Furthermore, new types of business models are emerging, bringing new legal challenges with them. As lawyers, we have specialised in technically oriented projects and issues from a very early stage and have continued to develop our competencies in this field over the years. From experience, we know that the actual technical set-up and configuration is crucial to the solution of a perceived legal problem. We support digitisation projects in a comprehensive manner to ensure that you do not miss out on any opportunities or set-up and configuration options, and to avoid incurring unnecessary costs. Digitisation is neither a static process for businesses nor a transition concluded at some point sooner or later. What may be thought of as revolutionary today will probably already be superseded and outdated tomorrow. And new technologies are continuously producing new standards and application scenarios. Just keeping pace with digitisation is not sufficient for us – we think in terms of digitisation and drive it forward. That way we are prepared and ready for the day that you get in touch with us. Cloud computing is one of the main pillars of digitisation, and one which unleashes previously unimaginable potential. Many businesses, however, still question the legal qualification and feasibility of Cloud solutions. We have a great deal of experience in Cloud computing. Based on this, we had the impression that clients often see more legal restrictions and hurdles than there really are. The general principle is that you have to be able to control what you do – and you can only control what you understand. Our main concern is to understand the technical aspects of Cloud solutions to such an extent that we are able to make a detailed legal assessment – and thus enable you to leverage the full potential of the Cloud to your benefit. We provide legal counsel to both sides, namely providers and users of Cloud services. We support providers in drafting the relevant legal documentation (in particular contracts, security documentation and data protection terms and policies) for each target group. We offer users of Cloud services comprehensive advice, from acquiring simple but strategically crucial software-as-a-service features right through to complex Cloud migrations of entire IT and application environments. Even in highly regulated industries we have recently been able to shape pioneering Cloud migration projects for the benefit of clients. From a client perspective, outsourcing is the transfer of an internal business function or process to a third party. Seen from the service-provider’s point of view, outsourcing means the ongoing provision of specific and usually specialised services to third parties. The expectation of clients is that after the outsourcing they are able to continue their business with the least possible impact. We are familiar with both sides of the coin. After many years of acting as consultants for providers, we have in-depth knowledge of the range of concerns and problems they regularly face. We also have a great deal of experience on the client side as well and have a very good idea of the main points of concern from this perspective. This notably includes regulatory issues, too. We advise on and support outsourcing projects of all types and sizes, and throughout all phases and stages. Outsourcing projects in the financial and insurance industry are among our specialities. Our focus is not on finding solutions to abstract or purely theoretical problems. Our main concern is to find simple and practical solutions to ensure that the outsourcing is successfully implemented and operated in a sustainable manner. This is where we become active, this is what we are working for. An outsourcing relationship in the IT sector usually is a very strategically oriented undertaking (involving optimisation of business processes, improving innovation capacity, increasing productivity, reacting quickly to changes in the market, time-to-market, etc.). A mutual dependency is created between the outsourcing-provider and the client as the recipient of services. To ensure that such a type of relationship is successful in the longterm, both parties need to be strategically positioned from the outset and are encouraged to define their respective goals. A good outsourcing contract should ideally be self-explanatory (and intelligible in the eyes of those who are to utilise it at some distant point in the future), working like a cook book (with instructions for everyday processes) and at the same time adequately addressing and minimising risks. In short: it has to work. Ideally, the parties will only consult the overall contract sporadically – but when they do so, they should come to identical conclusions as far as this is reasonably possible. A modular structure may further increase the practical usability of such a contract. Sustainable sourcing in a technological environment requires targeted management of requirements – this also includes contractual, regulatory and other legal issues with regard to the project in question. Actually, the issues that emerge in the procurement of technology services are not so different from problems that might arise when you relocate your home. Where are we moving to? What items shall we take with us? Are there things we no longer need? Do we need new stuff? Are there items we are not allowed to take with us? Which contracts need to be cancelled? And who is in charge of the move anyway? We have project experience on both the client and the provider side, and can offer you comprehensive legal support for the entire life cycle. Our consultancy services may start as early as the project planning phase and the analysis of all requirements, where we not only cover legal but also strategic questions regarding the procurement and implementation of technology. We will also support you throughout Request For Proposal processes and evaluate the offers submitted from a legal perspective. We will help you draft and negotiate all project-relevant contracts, advise you on the project process and methods you have opted for (e.g. in relation to agile methods) and also handle the legal issues that may arise during implementation (disruptions in services and other quality issues, warranty cases, change management, contract modifications, etc.). Last but not least, with our wide-ranging expertise we also advise on specific aspects that may become relevant towards the end of the life cycle, such as questions around contract termination and transition to new solutions. If every thing seems to be going in the wrong direction and your project is in distress, we will of course be more than happy to offer support and give you the benefit of our many years of litigation experience in the field of technology. We come across data-processing software throughout our everyday office processes, when we drive a car, and of course in our behaviour as consumers. Data is collected and processed in the context of nearly all aspects of our everyday life – which results in a whole array of legal issues. Information law (often called data law) is the common denominator in all our activities. The flow of information, access to information and how it is exploited are the crucial issues information law is dealing with. The general principles of information law are governed by a whole range of widely spread and very specific codifications and legal provisions, which deal with aspects like personal data (the Swiss data protection act and the EU General Data Protection Regulation), intellectual property (copyright) law or rules governing the handling of information in a governmental context. The overall view on information law is very similar to the picture you see when looking through a kaleidoscope: tiny pieces with various shapes and colours come together to display a larger picture. Increasing numbers of data laws or isolated provisions in codifications that are not primarily dealing with information and the growing sensibility in terms of data governance seem to create increasing levels of uncertainty. But not for us – we have sharpened our angle and focus on exactly these aspects, which helps us solve issues related to information law quickly and to the point. We will be ready for your call, whenever it comes. We are not limiting ourselves to just thinking in the box. We provide rational advice that is pragmatic and free of any unnecessary formalism. We stand for solutions that work. High-level legal advice that really adds value often goes beyond merely dealing with legal issues – it requires a holistic view on commercial and strategic concerns as well. Legal questions regularly emerge at the very origin of a specific problem but normally represent only one aspect of the overall solution. Commercial aspects and business strategy issues are equally important when it comes to understanding the big picture. We prefer to work at the interface between IT, the sourcing or sales organisation, business management and legal. This is where we are able to help with our expertise and experience in a direct, efficient and highly committed way. We act as external consultants who become an integral part of the processes and structures of your business without losing our objective stance. Many years of experience with working as in-house counsel for large companies provide us with an in-depth understanding of the various networks and interconnections within a corporate ecosystem. This may be very helpful to you. Blockchain, crowd, sharing economy platforms… more and more new technologies are entering the market at an ever-increasing pace. “New technologies” could more accurately be described as new concepts for the information society. Depending on the nature of such new concepts, the impact on the different sectors of our economy may vary. Blockchains in the financial industry for instance may create a fully different set and depth of legal issues than, for example, in the tourism industry. Other technology such as sharing economy platforms may also require entirely different types of regulations. What all of the “new technologies” have in common is that they are usually closely tied to their underlying IT platforms – more and more often, such technology is operated by decentralised service-providers. Swiss authorities regularly adopt an observant strategy and try to lay focus on “technology-neutral regulation”. From a regulatory point of view this may make perfect sense, but it may lead to legal uncertainty for new technology and the business models based on such new technology. Our speciality is to ‘envision’ and approach new technologies from an IT point of view. This enables us to provide answers even before the legislator adopts a particular position. Marketing is everything. And when it comes to software, market data, software-as-a-service and the Internet of Things, a suitable and well-balanced licensing and distribution model is key. A licensing and distribution model should provide full support to the business case, which can either aim to reach a widespread impact or to maintain control and a certain exclusivity. Between these two extremes there are other concepts as well as hybrid models. The licensing and distribution concept should be carefully assessed and structured in a way that opportunities and scalability can be leveraged as much as possible. We have experience in developing licensing and distribution models for a wide variety of industries. However, over the years, we have also been able to focus on specific fields. We currently offer support and advice on licensing and distribution concepts with a particular focus on solutions for software, market data, software-as-a-service and the Internet of Things. We handle not only the drafting and negotiation of complex licensing contracts but also strive for a balanced overall model tailored to your individual needs. What do LAUX LAWYERS do differently from other practices? We are your “outside inside counsel” in the field of IT law. Our credo is clearly: Only if you know both sides of the story, will you be able to ask the right questions. As lawyers, we act as external consultants who study in-depth the processes and structures of our clients, without compromising our objectivity. We operate at the interfaces between IT and sourcing or sales organisation, company management and law, bringing our expertise to the table in a direct, efficient and highly committed way. That is what we call “outside inside counselTM” in IT law. Many of our clients appreciate the advantages of an external, independent legal specialist and mandate us to fill that role. We act as a flexible element or module that can be implemented, strengthening the position of the in-house counsel by means of our outside inside counselTM approach. We try to open up new perspectives and views on things, some of which may at first glance seem rather creative or even eccentric. Who are the people behind LAUX LAWYERS AG? Five lawyers. Five different personalities. One single solution for you. The practice was founded in 2011 by Christian Laux and has since then expanded in terms of the number of lawyers as well as the expertise and experience acquired. You will benefit from a total of 75 years of combined IT law experience – all directly available to you. EXPERTISE Christian Laux has 20 years of experience with regard to technology-related legal issues, which he combines with a great passion for technical matters to create highly focused solutions for our clients. Christian lives and breathes digitisation, which he promotes in Switzerland. He embraces new challenges and doesn’t shy away from controversial topics when he knows that the effort will pay out in the end. MAIN FIELDS His main fields of practice are new technologies, Cloud, data protection and data law, IT and business consultancy, outside inside counsel and process management. Christian regularly publishes articles in various media outlets and makes presentations on all of his fields of expertise. BACKGROUND Christian Laux studied law in Zurich, Paris and at Stanford University in California, as well as writing a doctorate thesis on the principles of writing contracts for copyright-protected content. He is licensed to practise law in Switzerland. LANGUAGES Christian Laux speaks German (native language), is fluent in English and French, and speaks Russian at a conversational level. EXPERTISE Juerg Hess has over 30 years of experience which he puts to good effect when providing expert advice for LAUX LAWYERS AG. Of particular value to our clients is the comprehensive knowledge that he acquired as general counsel for IBM Switzerland. Juerg analyses situations quickly and uses his experience to get straight to the point, thinking in an agile yet pragmatic way to find a solution that works without getting tied down by the abstract, theoretical aspects of a problem. MAIN FIELS His main fields are sourcing, outsourcing and cloud computing, IT and business consultancy. BACKGROUND Juerg studied business management followed by law at the University of Zurich. He obtained a Master’s (M.C.J.) at the University of New York and wrote a doctoral thesis at University of Zurich. 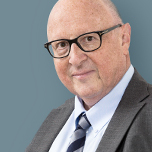 He is licensed to practise law throughout Switzerland (and has been a lawyer since 1981). LANGUAGES Juerg speaks German (native language) as well as fluent English and French at a conversational level. EXPERTISE Alexander Hofmann has many years of experience as an in-house counsel for IP and IT with a large international bank and also as a lawyer for copyright, media and general commercial and contract law. He is thus well versed in complex negotiation situations and knows the particular demands of the finance sector when it comes to outsourcing and cross-border cases in terms of data and banking secrecy. Alexander has a mind-set focused on long-term and sustainable solutions, not taking just the actual situation into account but also the overall requirements of the client’s company. MAIN FIELDS His main fields are sourcing, digitisation, cloud computing, IT/business consulting, outside inside counsel, data protection and law. BACKGROUND Alexander studied law at the University of Zurich (with a year abroad at the University of Westminster, London). In 2015 he obtained a postgraduate certificate in Computer and Communications Law at Queen Mary University in London. 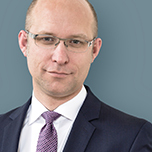 He is licensed to practise law throughout Switzerland (and has been a lawyer since 2007). LANGUAGES Alexander speaks German (native language) as well as fluent English and French at a conversational level. 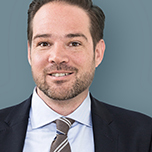 EXPERTISE Before joining LAUX LAWYERS AG, Mark Schieweck worked as a senior intellectual property and technology legal counsel with a large international bank in Zurich for more than 14 years. Mark brings along extensive experience with regard to technology-related legal issues and contract negotiations in an international context and has a particular interest in cutting-edge technologies and their interface with law and economics. As a licensing model specialist, he makes it his duty to find tailored solutions which best support the business case in question. MAIN FIELDS His main fields are licensing/distribution models, sourcing, new technologies, drafting and negotiating contracts and outside inside counsel. BACKGROUND Mark studied law at the University of Basel. 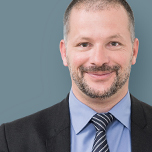 He is licensed to practise law throughout Switzerland (and has been a lawyer since 1998). LANGUAGES Mark speaks German (native language) as well as fluent English and Dutch and also French and Italian at a conversational level. EXPERTISE Perica Grasarevic has gained many years of experience as an in-house counsel for IP, IT and general contract, labour and company law at an international software company. He is also a co-founder of and consultant to a number of technology start-ups. He understands IT companies’ special requirements from a variety of perspectives and during all phases of their life cycle. As a member of the young generation of lawyers, Perica Grasarevic takes an uncomplicated and solution-oriented approach to advising our clients and treats his relationship with them as a partnership of equals. MAIN FIELDS His main fields are legal tech, blockchain, digitalisation, IT/business & start-up consulting, labour law, outside inside counsel, data protection and data law. 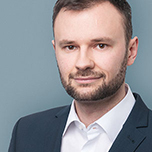 BACKGROUND Perica Grasarevic studied law at the University of Zurich and received a Certificate of Advanced Studies in Mergers & Acquisitions and Corporate Law in 2016. He is licensed to practise law throughout Switzerland. LANGUAGES Perica Grasarevic speaks German (native language), Serbo-Croat (native language) and fluent English, French and Spanish at a conversational level. Analogue. Digital. Telepathy… we’d love to hear from you. Regardless of how you choose to contact us, we very much look forward to getting to know you. Our main office is in the Seefeld district of Zurich right next to the lake and is easy to reach using tram line 2 or 4. Get out at the Kreuzstrasse stop, then walk towards the lake. Our entrance is in between the Frascati and Latino restaurants. Please let us know in advance if you would like to use one of the parking spaces that we have reserved for clients. Our branch office is in the Paulus district of Basel, not far from the zoo and the main train station. Our premises are easy to reach by using the tram lines 1 or 8. Get out at the Zoo Bachletten stop (the second stop after Bahnhof SBB/the main train station) then walk towards St Paul’s church. At the end of the tram platform, cross over the street to the left. Our entrance is in the building on the corner. You can park in the neighbouring streets or at Basel Zoo. 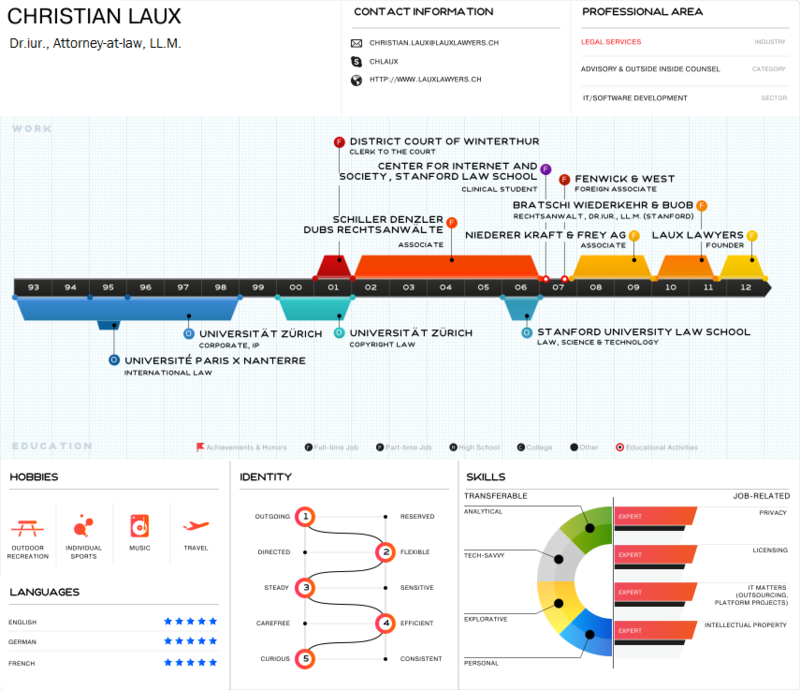 Where can I find out more about LAUX LAWYERS AG? Knowledge is the most important raw material of our time. Here we share our experience, comments, views and ideas regarding relevant legal topics. Please feel free to contact us for more information or explanation. Christian Laux in interview with Radio SRF "Tagesgespräch"
Christian Laux explains in an interview with Radio SRF "Tagesgespräch" what a digital identity is and whether digital identities should be issued by the state.